A smartwatch is a computerized wristwatch with functionality that goes beyond timekeeping. While early models can perform basic tasks, such as calculations, translations, and game-playing, 2010s smartwatches are effectively wearable computers. Many run mobile apps, using a mobile operating system. Some smartwatches function as portable media players, with FM radio and playback of digital audio and video files via a Bluetooth or USB headset. Some models, also called 'watch phones', feature full mobile phone capability, and can make or answer phone calls or text messages.A good smartwatch is compatible with a smartphone or other device and uses an operating system to enhance social interaction, preview the weather or streamline a fitness plan. Common operating systems for smartwatches include Android and iOS.An e-ink display on a smartwatch helps to save battery life and makes it easier to see the screen outside despite glare. Depending on the type of display, users can view applications, photos and other content in full color.An interactive interface such as a touchscreen makes the smartwatch easier to navigate. Some watches also support gesture-based interfaces such as flicking the wrist. The watches are also available with physical buttons for people who like a more traditional look and feel.Smartwatches are typically customizable, allowing the user to choose straps or bands. Some brands are also available in a number of different finishes including gold, steel and aluminum.Many smartwatches alert the user of incoming text messages, emails, calls and even social media messages. Some brands allow users to choose the types of notifications they want to receive on their smartwatches. 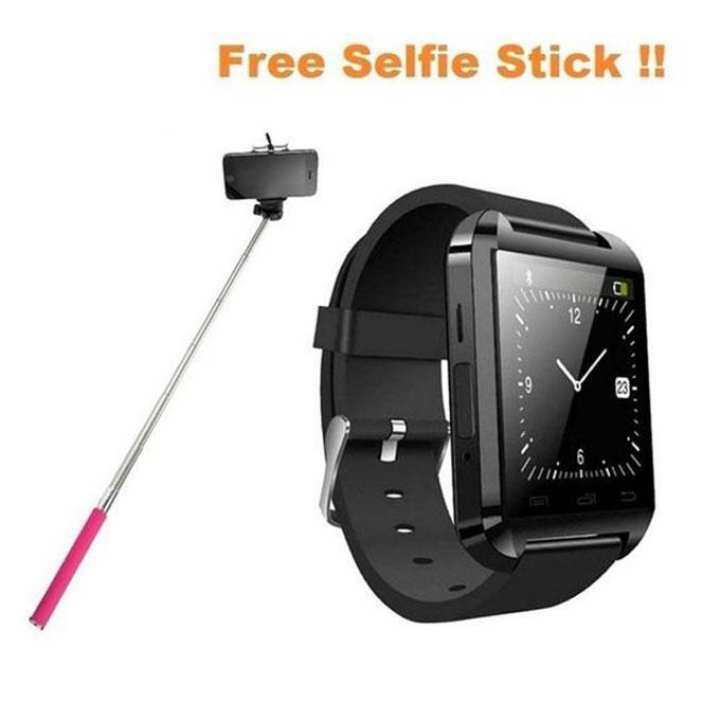 This Selfie Stick is very much suitable to use also Good quality and brand new.Its very handy that’s way lightweight.Equipped with a switch.For IOS 5.0.1 or about iPhone 6 6 plus/5S/5G/5C/4S/4G/3SG/iPad mini/iPad 4.For Any Brand Android Phone. This smart watch is completely good product and it works properly, I like this product very much.